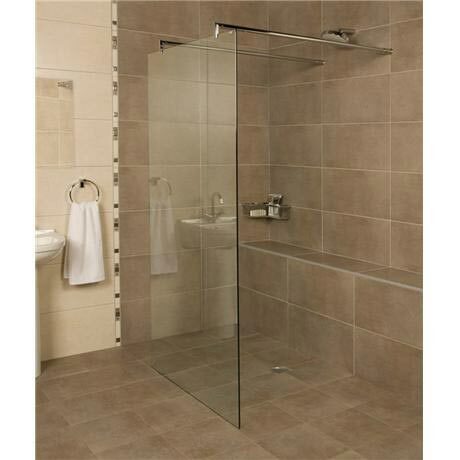 The Luxury Embrace Glass Linear Wetroom Panel from Roman Showers, these wetroom panels give a designer feeling of style and sophistication with their seamless glass panel and sleek chrome profile. Roman's luxury wetrooms are the perfect product for all, they offer a real style statement which at the same time has the user in mind. They give totally level access and eliminate doors and handles which can be awkward for some users – this gives totally effortless entry for the whole family. Covered by a lifetime guarantee from Roman Showers on registration. The Embrace Panels are available in a range of size options to suit your space. Q. What is the height of this panel? Hi, the panel is 2000mm high. I hope this is some help. Thanks.